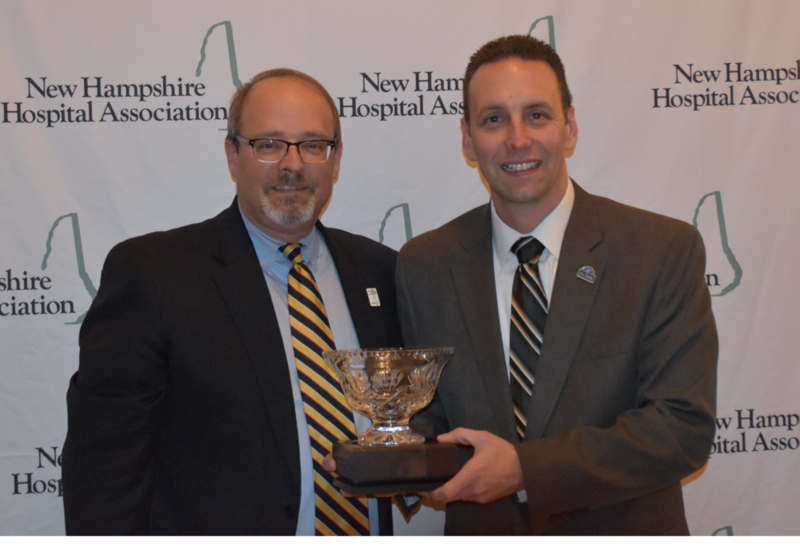 The New Hampshire Hospital Association and the Foundation for Healthy Communities recently held their 2018 Annual Meeting where they honored who have made significant contributions to hospitals and the healthcare field. Pictured: Steve Ahnen, President, New Hampshire Hospital Association and Alfred Montoya, Director, VA Medical Center and 2018 Founder's Award recipient. For more on the 2018 Annual Meeting, including press releases and presentations, click here.